In either case, spouses do not always honor their commitments. We take alimony enforcement issues very seriously. The Kramer Law Firm represents spouses on either side of alimony enforcement in Florida divorce proceedings. If your spouse fails to pay alimony, the Kramer Law Firm will help you take action to seek enforcement. If you have fallen behind in alimony payments, we can advise you of your options and rights, and assist you with a request to modify court orders for support. You depend on the financial support you receive through court-ordered alimony. When those payments stop, your financial obligations can become severely stressed. Our attorneys work closely with clients in alimony enforcement proceedings. We are committed to using every legal tool available, including testimony from witness and private investigators, to secure the alimony you are entitled to. Through discovery, we can reveal the facts regarding the paying spouse’s actual ability to pay. We can use interrogatories to obtain bank records, income, and other financial information. We understand how Florida courts conduct alimony enforcement cases, and work diligently to build an effective case on your behalf. There are effective legal means we can apply to collect past due alimony payments, and sometimes future payments and attorney’s fees. In addition, Florida laws allow that different enforcement procedures may be used in the same lawsuit. 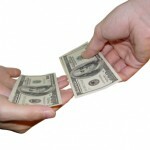 Money judgment - We can help you enter a money judgment against your spouse in the amount of the alimony owed. Once a judgment is entered, you can collect the past due alimony by means of one of the following Florida alimony enforcement and collection methods. Civil contempt - Alimony is a court order; therefore, failure to obey alimony obligations is considered to be in contempt of the court. If the other party had the ability to pay and he or she willfully chose not to, we can assist you in pursuing an action for contempt. Depending upon the facts of the case – including whether your spouse willfully violated the alimony court order – the judge will decide on the appropriate remedy, for which the spouse will face penalties of time in jail, a fine, or both. Additionally, if more than one instance of failing to pay alimony occurs, we can pursue separate actions for contempt for each missed payment to achieve alimony enforcement in Florida. Judgment lien – Once the court issues a judgment stating the amount of alimony payment your spouse must pay you, and your spouse does not pay, you are entitled to undertake a writ of execution. Writ of execution – In this form of alimony enforcement, certain property of the paying spouse is seized and then sold by the Sheriff’s Office; the money gained is given to the receiving spouse as payment. “Property” can be real property, such as land and buildings, or personal property such as automobiles, boats, jewelry or livestock. However, some property is exempt from seizure, including the paying spouse’s home. A writ of execution is a technical and complicated legal process, and the Kramer Law Firm can assist with each detail. Writ of garnishment – We can pursue wage garnishment, in which the owed alimony payments are taken from the paying spouse's paycheck, or earnings. This is a common form of alimony enforcement in Florida divorce cases, and is useful if the paying spouse does not possess significant assets. The court may also order the wage garnishment to be “continuing,” to enforce the periodic payment of alimony. Our attorneys will advise you fully on your options and the best way to proceed for your situation. If you are delinquent on your alimony payments, we will defend against an enforcement action and work to have the alimony court order modified. The Kramer Law Firm will work closely with you to help you avoid potential consequences of contempt, and assist you in confronting financial matters that are affecting your ability to pay. For example, perhaps through no fault of your own you lost your job. You cannot afford to pay the entire alimony amount each month, but are willing to pay a portion of the amount, perhaps using your unemployment benefits or other means. Technically, you may be in contempt. However, by applying the law we can help you prove that you are not in willful contempt, and you have put forth effort to pay to the best of your ability. 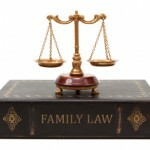 Contact us for help with alimony enforcement in Florida. Whether you need representation because you have not met your alimony obligations, or you need help enforcing a court order for alimony, the Kramer Law Firm will protect your rights aggressively. We offer full-service representation, and our versatile lawyers are equipped to offer effective solutions in all matters of the law.